For the first time in a long time I felt like doing something a little different after work. I’m currently in a full-time marketing internship and often find the 9-6 grind leaves me longing for Netflix rather than a photoshoot. But, for some reason I felt inspired and wanted to just get out and shoot – one of the perks of having a photographer mom on hand for those moments lol. I was completely inspired by a local limerick photographer, Adam Coleman from This Boy Knows for this shoot! I adore his editorial photography style and just felt a longing to capture something similar. Limerick has such creative talent which is so important to share – so if you haven’t checked out Adams work, click here. My outfit is definitely one of my go-to’s this summer. I’m lusting over mid length skirts especially with a little slit up the side (takes away those granny vibes). 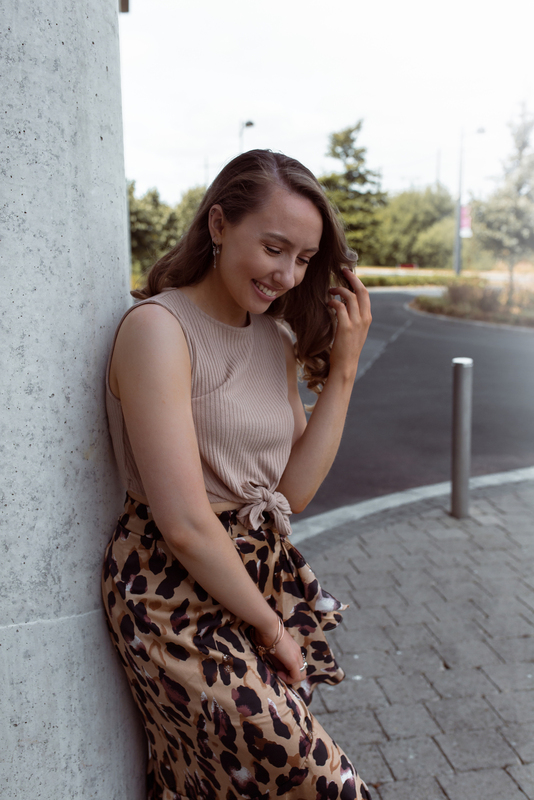 Zara has some great mid-length pieces at the moment and this is certainly a favourite that I will be wearing going into Autumn. Since the skirt is so eye-catching, I wanted to keep the top simple. I found this top in the River Island summer sale this year and my god is it gorgeous. It’s double lined, so no need to worry about it being see through! Keep your eyes peeled for some cool, inspiring collaborations that I have coming up on my social media accounts over the next few weeks – they might even inspire you to get out doing something you love!